The finger boards (also known as a fretboardon fretted instruments) is a part of most stringed instruments. It is a thin, long strip of wood, on the neck of a stringed musical instrument against which the strings are pressed in playing. 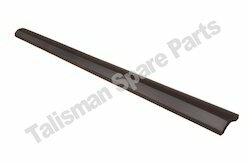 We can supply finger boards in Ebony, Rosewood or other tonewoods according to customer specifications. Sree Balaji Musicals Pvt. 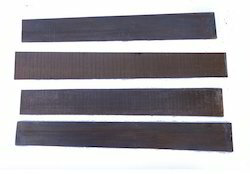 Ltd.
Fingerboard/Bridges Blanks are available in Indian Rosewood in various sizes of Guitar, Mandolin and Banjo. The most sought after wood for making FINGERBOARD/BRIDGES for expensive, exclusive guitars, Mandolins & Banjos is of Rosewood which gives a fuller tone and richer appearance to the instrument.